Many critics assumed that the Volvo Car Corporation entered the SUV segment too late when the Volvo XC90 was introduced at the Detroit Auto Show in January 2002. Instead, the ingenious XC90 revitalized the whole segment by successfully addressing all the problems of earlier SUVs. 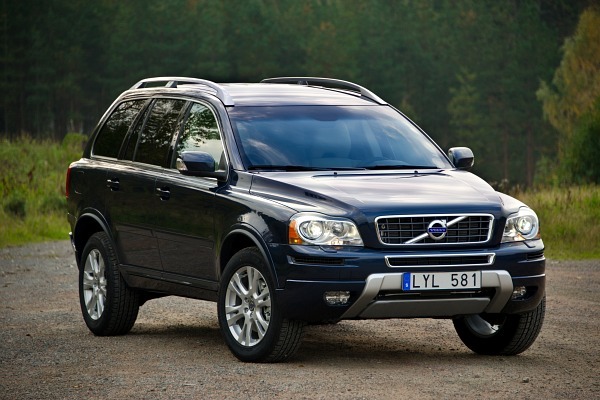 In 2005, annual XC90 sales peaked at 86,000 vehicles, making it Sweden’s most valuable export product. “The XC90 was the first of the next-generation SUVs. Its blend of SUV roominess, true passenger-car qualities and groundbreaking safety features made it an instant success in a segment that at that time was tainted by several issues,” says Stefan Jacoby, President and CEO of Volvo Car Corporation. The SUV segment was booming at the start of the new millennium. The rugged look, spaciousness and high seating position made the vehicle type a favourite among North American families. However, the early SUV’s truck-like driving properties also contributed to making them overrepresented in rollover accident statistics. Project Director Hans Wikman and his team were determined to solve all these issues when the XC90 was cleared for take-off by Volvo Car Corporation President Tuve Johannesson at the Arizona Proving Ground in May 1999. Doug Frasher, who is still working at the Volvo Cars Monitoring and Concept Center (VMCC) in Camarillo, California, was the proud father of the winning design. “The model we showed to the management was almost identical to the production XC90 we revealed in Detroit. We had done our homework well, much thanks to our female reference group. A majority of SUVs were driven by women and “our” ladies gave us great input,” says Doug Frasher. The XC90 project team managed to fit seven seats into a vehicle that is no longer than 480 centimetres (15.7 feet) – an achievement that is still unrivalled in the segment. Roll Stability Control (RSC), using a gyro-sensor to detect and counteract the risk of a rollover. An integrated sliding centre booster seat for children in the second row. Seatbelts with “pre-tensioners” for all seats. Dolby 5.1 Pro Logic II surround sound stereo system featuring a 305-watt Alpine amplifier and 12 premium speakers. Cooperation between the reinforced roof structure, seat belt pre-tensioners and inflatable side curtains helped create superb rollover protection for all seven occupants. This world-class safety level was demonstrated in an unusually tangible way when the Volvo Car Corporation invited the world press to watch a violent rollover test with the XC90 outside the state-of-the-art Safety Centre in Gothenburg, Sweden. The video from the 2002 event, still available on YouTube, shows how the XC90 rolls over three times before ending up on its right side. “The roof structure was more or less intact after the car finished rolling. The spontaneous applause from the media representatives confirms that we made a real impression with this unique demonstration,” says Hans Wikman. The safety level is also emphasized in the Volvo Car Corporation’s research. The accident investigation files include remarkably few accidents where XC90 occupants have been killed or sustained severe injuries. The possibility to create a flat load floor area behind the front seats. Passenger car ride supported by electronic All Wheel Drive. A lower cross-member in the front with the task of activating the oncoming car’s safety systems in the event of a collision. “Being Volvo we just had to offer a sensible and safe alternative to the first-generation SUVs. The XC90 took the segment into a whole new dimension. It was a unique vehicle when it was launched and even now, ten years later, no competitor vehicle offers such a complete package,” says Hans Wikman, who has since retired. The Volvo Car Corporation’s original target for the XC90 was 50,000 units per year worldwide. However, the model became so popular that the figures grew rapidly until they peaked at 86,000 units in 2005. The United States has been the largest single market for the XC90, with 2004 (38,800 units) and 2005 (36,200 units) being the peak years. This success also brought the XC90 to the impressive position of Sweden’s most valuable export product. Its total yearly export value was over 40 billion SEK (6.2 billion USD at the current exchange rate) in the peak years. “We have recently introduced an upgraded version of the XC90, which is still one of our best-selling models. It also inspired the development of the extremely popular XC60. Now we are working on developing an all-new version of the XC90,” says Stefan Jacoby. Since its introduction, the XC90 has received over 110 awards around the globe. The highlights of the list (available if you click Models and XC90 – Awards in the top bar) confirm the greatness of this model. Almost one year to the day after its world premiere in Detroit, the Volvo XC90 was named North American Truck of the Year. The competition – judged by 49 automotive journalists from the United States and Canada representing newspapers, magazines, and digital media – honours vehicles that set new standards or become new benchmarks in their class. This is a spot-on description of the “latecomer” in the SUV segment that became a true legend in the automotive world.